Amish craftsmanship dressed in today's designs. Our website is simply a peek at what we offer. Upon entering any one of our showrooms you will discover one of the best selections of dining room furniture anywhere. 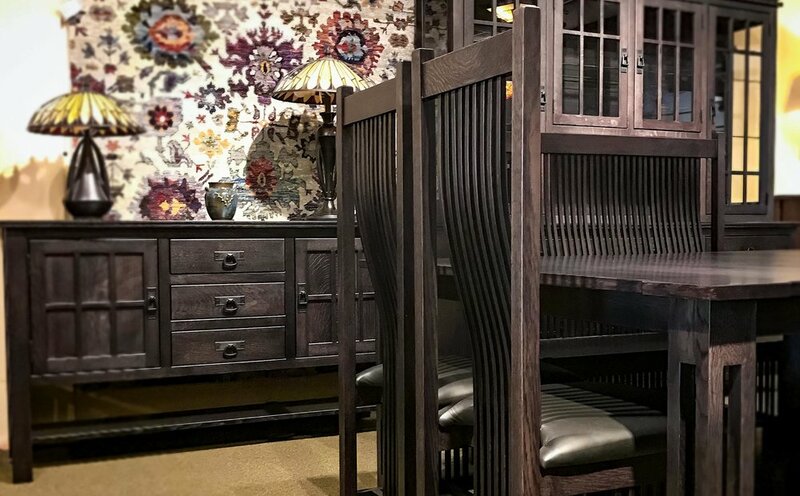 Consider that all of our dining room pieces are made to order specifically for you, allowing us to build them exactly as you wish free of any customiztion fee. You choose the wood. You choose the stain color. Interested in changing styling details like moldings, hardware, and edge profiles? Do you have specific size or configuration requirements? No problem, customization is our specialty! TL;DR: Don't limit yourself to what you see here, we are happy to tailor any of our dining room styles to build your dining set exactly as you want. Sign up with your email address to receive news, updates, and sale information. We respect your privacy. Plus we’re Amish, how many emails could we possibly send? Thank you! An email will be sent to confirm your subscription. You can opt out at any time. Solid deals are coming your Way!